Can You Play Golf After Back Surgery? At some point, your back surgery rehab will allow you to golf again. As you can imagine, the term “back surgery” covers a wide range of operations. A Cervical Posterior Foraminotomy, for example, is very different from a Lumbar Inter-Body Fusion procedure, but both are considered back surgery. The point is that the length of your back surgery rehab depends on the operation you had performed. The condition that your surgery corrects, the extent of the damage and the severity of the procedure all play a role in determining how long you need to fully recover, which determines when you can return to your golf game. You must be fully recovered before you can pick up your driver or crouch over your putter. So It Is Possible to Play Golf Again? Numerous studies from reliable sources, such as the National Institutes of Health, suggest that most people who played golf before being injured can return to the sport, given sufficient time to recover. How much time you need in your back surgery rehab is the question. And the answer comes from a formula that takes into account how fit you are and how fit you were before your surgery, the procedure itself and how much pain you feel day-to-day. Top spinal surgeons in the country agree that most people can return to playing golf after back surgery. Whether you will one of those depends on a number of variables in the back surgery itself and the differences in healing potential from person to person. 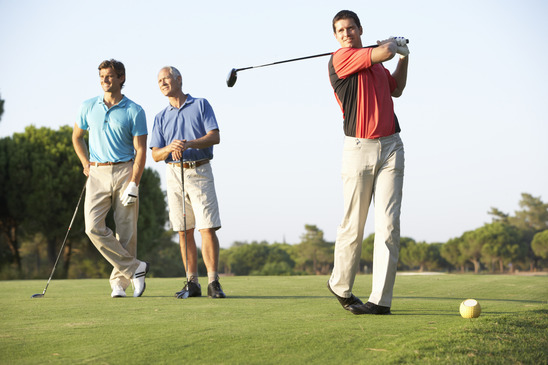 In general, the younger you are, the better your chances of playing golf after your surgery. How Much Back Surgery Rehab? That’s the million-dollar question. One study examined a small sample of golfers who had lower back surgery. The average time for those who returned to playing golf was eight months. While a majority of the golfers who had surgery were able to return to a similar level of play after their procedure, some chose not to play again, due to pain, interest or finances. These patients spanned age and gender differences, but were significantly influenced by the procedure they had done. As noted above, it may take you eight months or longer to return to the links after your back surgery, but if golfing is your passion, then you are more likely to golf again after your back surgery. Having your procedure done at the Southeastern Spine Institute means working with a team of professionals, from your surgeon to your physical therapist, who will do everything in their powers to get you back on the fairway.